Welcome to the Frozen Nerdz Special Rock the Cabinet Finale Episode! Today’s episode is going to be all about the Blizzard Arcade or what we like to call the StarCade. If you’ve listened to Episode 10 of the Frozen Nerdz, you are no stranger to this amazing free to play aspect inside the Starcraft Universe. But in case you missed it. Back in January, the StarCraft community managers put out the challenge for Blizzard Arcade content creators to wow them with the most amazing Arcade games ever made using the Starcraft II Map Editor and Art Tools. 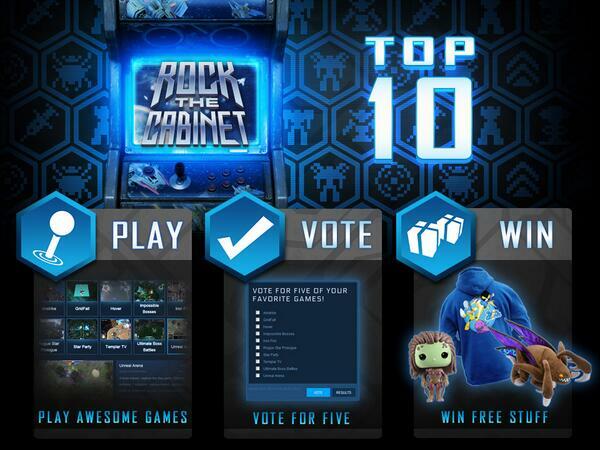 Today, we are going to be talking about the Top 10 games selected for the Rock the Cabinet contest. A total of 81 amazing games were submitted by the creators and players just like you. These 10 finalist were selected for the chance to take home $15,000 worth of cash prizes, tickets to BlizzCon and having their games localized in 5 different languages. Third Place: $3,000, Tickets to the next BlizzCon & Localization. Play. Vote. Win. Play all ten games and vote you could win some awesome prizes! In typical Steam Room fashion, we break down each game into three different categories. But since it’s for the StarCade, we wanted to make sure we brought something new to the table. Our new categories are: Stupid Funability, Controls, and Ease of Play. Here on Frozen Nerdz, we enjoy playing games that are what we like to call…. Stupid fun. So we break down each game and give them a overall Towel Whips rating. If you have listened to our Steam Room segments, you know exactly what that means… MORE TOWEL WHIPS! But before we get too carried away, here are the games! Interested in how each game lined up? Check out the episode for all the details. Below you will find each games ranking from each Nerd. We Rocked the Cabinet, now it’s time for you to ROCK THE VOTE! Vote for your favorite games here. Everyone who plays all ten games and votes has a chance to win cool prizes — play, vote, win! To find out more about the Blizzard Arcade, click here. To play the games in the Blizzard Arcade, click here. To find out more information about the Rock the Cabinet Contest, click here. To follow the Blizzard Arcade on Twitter, click here. Interested in hearing our opinions? Well…. You have to listen to the show! The good thing is… you can listen to us in many different fashions. If you enjoyed the show, let us know. Leave us a note on iTunes, or Stitcher, or drop us a line on Twitter! But don’t take our word for it, get out there any play these amazing games inside the Blizzard Arcade for FREE.